Let’s face it, we’re all guilty of wasting time at work. Some surf the internet all day, while others simply do everything humanly possible to avoid any form of a work. Here are the biggest time wasters from survey of American workers. 23.4% say socializing with co-workers was their #1 distraction at work. 14% say that talking with co-workers was their #1 time waster. 77% of workers who have a Facebook account use it during work, and for some that means spending up to 2 hours on the site. 64% say they visit non-work related websites every day during work hours. 69% of employed respondents say they’re either actively seeking a new job or open to job offers. 46% reported spending time job hunting during work hours on company computers. 47% say their biggest time-waster is having to attend too many meetings. 4% of those polled said spacing out was their #1 distraction at work. 23% of employees reported wasting time out of boredom. Can you think of any that you would add to the list? Last fall, I created a YouTube video of my Top 5 Favourite Restaurants in London, Ontario. I’m embarrassed to say that the list is extremely dated and completely inaccurate. Yes, toss that previous list out the window because my new list begins and ends with Shmokey Rob & Sons Southern Eatery. A good friend of mine treated me to a belated birthday lunch at Dawghouse on Sunday. The atmosphere was extremely friendly with customers laughing, smiling and conversing with each other. I instantly felt at home. Our waitress was very personable and made our experience even more enjoyable. I ordered the Marmaduke burger (a 12 oz burger patty topped with cheese, bacon, fried onion rings, and thousand island dressing) along with sweet potato fries on the side. The burger itself was well cooked and massive! As a foodie who often orders sweet potato fries, these were among the best I have tried in recent memory. The prices are also extremely reasonable as our bill was less than $30. 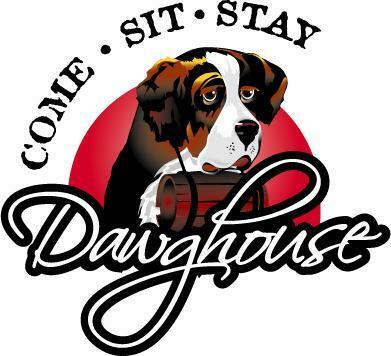 Not only will I return to the Dawghouse, but it has instantly become one of my new favourites. Visit their website for more details! The acoustic panels are up and the studio is complete. This is the new home of Ultimate Fighting Weekly and my next project, The Chris Toplack Show. Since I am unable to record and still in the process of getting the new studio together, I figured I would still write down my thoughts on UFC 160. Fight of the Night – Junior Dos Santos vs Mark Hunt – Nearly 3 rounds of stand up action and heavy bombs being thrown, well deserved! Knockout of the Night – TJ Grant’s knockout over Gray Maynard was ultra impressive, but JDS landed a freakin’ spinning back kick on Mark Hunt followed by a huge ground strike to finish him and rightfully deserved the honour. Dana claims that it was Mike Tyson that vetoed the original decision to give JDS the bonus and felt TJ deserved it. While I absolutely love and respect Mike Tyson, when did he have so much pull in the UFC!?!? I went 4/5 with my picks and was extremely pleased with the upset that ruined my recent streak of perfection. The Cowboy continues to improve and adds new tools to his arsenal. This is the mark of an elite Lightweight and he deserves a Top 10 opponent in his next bout. I was very impressed with his willingness to take the fight to the ground. Aside from a few combinations, KJ looked exhausted and couldn’t find his rhythm. Gray Mayard had some definite power behind those punches and at one point, clearly stunned TJ. The pride of Nova Scotia landed an amazing right hand that dropped Gray and from there, it was only a matter of time before the referee stepped in. TJ Grant pulled off the upset against a very durable opponent and will now get a shot at the Lightweight Champion, Benson Henderson. He poses many problems to the champ with his size and power so I can’t wait to see them throw down by the end of the summer. With all due respect to the very talented James Te-Huna, Glover is leagues above him on any given night. Glover has a well-rounded game and most definitely deserves a Top 5 opponent in the Light Heavyweight Division. After the dust settles at UFC 161, I would like to see who Glover will be matched up with. It was a battle between two of the most elite strikers in all of mixed martial artists. 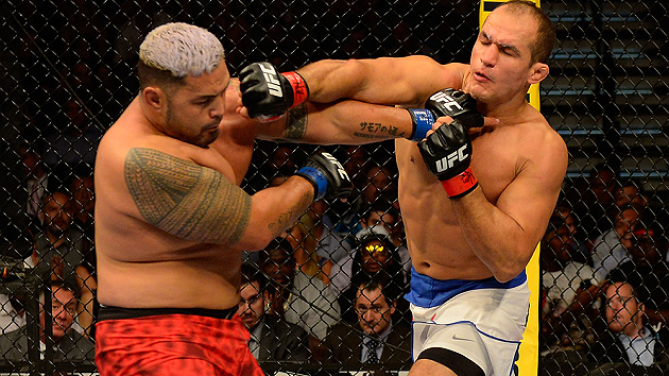 Many were claiming that aside from Cain, Mark Hunt was the toughest test to date for JDS. I firmly disagree with this statement and predicted that the speed and accurate combinations would prove to be too much for Mark Hunt and that he would succumb to punches. Fortunately, my prediction proved to be correct. Yes, Mark Hunt is an underdog with a granite chin and heavy hands, but he simply isn’t a Top 5 Heavyweight. End of story. I would love to see the UFC matchup Mark Hunt with Roy Nelson. It would be a battle of the heavy hands and granite chins. Sign me up! As for JDS, we’ll get to him in a bit. This match up played out just as everyone had predicted. Bigfoot did not stand a chance against the speed, wrestling, volume of striking and cardio that Cain brings to the table. Cain is pound for pound one of the best fighters walking the face of the Earth. This match up was thrown together as the UFC had very few other options. Bigfoot can still pose many problems to the elite of the division, but will not be seeing a title opportunity at any point within the near future. Dana White announced that the trilogy is officially taking place next. JDS knocked out Cain within 64 seconds of the first fight and Cain dominated the second, beating JDS from pillar to post for all 5 rounds. The question is, will this fight play out like the first or second? Most say that Cain is in his element again and will likely duplicate his past performance over JDS. While I don’t disagree with that prediction, JDS will always have a punchers chance with his speed, combinations and power. I sincerely hope that this fight will take place in either Mexico or Texas. Can you imagine the reception for both fighters? At the post fight conference for UFC 160, Forrest Griffin announced his inevitable retirement. He cites that the main rational for this decision was based on not being able to stay healthy. He also provided the media with a quote that really stuck with me. I completely agree with Forrest Griffin’s decision. He leaves the UFC as a former champion and participated in arguably the most important fight in company history against Stephan Bonnar the The Ultimate Fighter 1 Finale. Fans, fighters and media alike will remember Forrest for his heart and larger than life personality. While I am in full support of this decision and even called for it in a previous edition of Ultimate Fighter Weekly, the octagon will miss his presence. Note: Forest Griffin and Stephan Bonnar will be the next members of the UFC Hall of Fame. After 16 straight episodes of Ultimate Fighting Weekly, I will be forced to miss our next edition of the program. Due to a move tomorrow, I will be taking the week off. 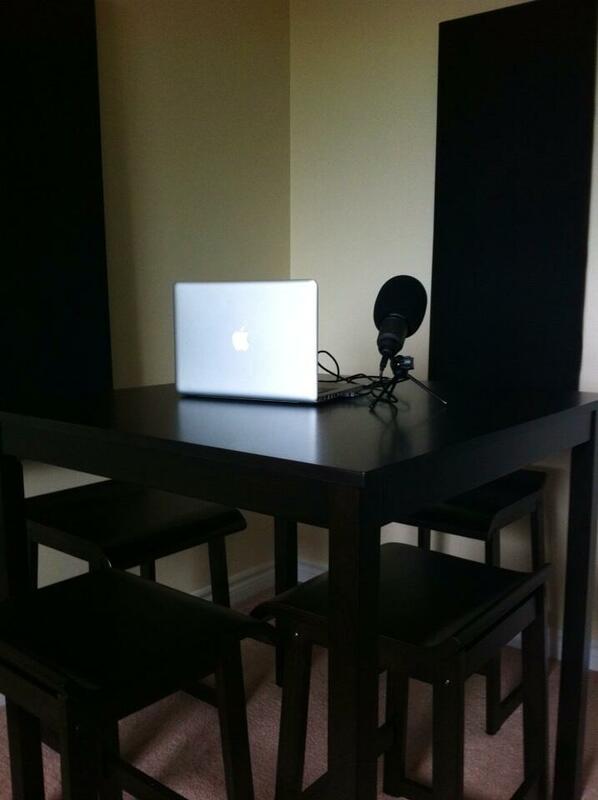 The new studio should be up and running by next weekend. He makes a valid point that has always had a lasting effect on me. 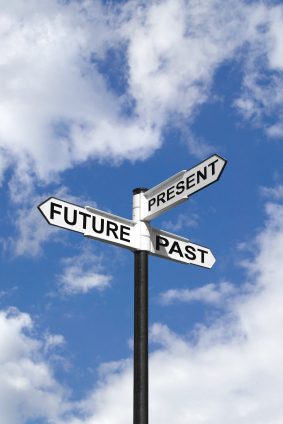 Why do we live in the past? Perhaps it has something to do with personal comfort or the fact that the past was a much happier place than the present day. While this isn’t necessarily a bad thing, living in the past on a regular basis can be considered unhealthy. This topic came to the surface after a recent conversation with an old acquaintance. He had obtained a great deal of success within a short period of time and was riding high. He had an outstanding job, a stunning condo and a luxury car. His life suddenly came crashing down after his company folded. He often discussed reinventing himself and moving in a new direction, but instead, hung onto everything he lost and ignored his potential. He spent so much time in the past, that he forgot to focus on the present and plan for the future. He refused to move on which lead to a personal and professional stalemate. In one of our last conversations, I brought up a philosophy that I readily follow. Apparently he took this to heart and has reinvented himself. I received an email from him just yesterday thanking me for that little piece of advice. While a trip to the past may be full of joy and vivid memories, remember that it should only be considered a temporary vacation. If life is a photo album, you should focus on filling the remaining pages and making them count.